What should you feed a senior horse? Seeing a 25-year-old horse or over is not considered a rare thing anymore as our veterinary diagnostic and treatment techniques continue to develop. These older horses need a little more assistance and care to prevent health issues often associated with older age. It is important to understand that small changes in management practises should be implemented when caring for senior horses, such as feed, exercise and weight control. It’s easy for our seniors to gain some extra weight as they start to slow down, and their energy intake begins to exceed their output. Regular condition scoring is an easy way to keep a track of their weight, ideally, we want our senior horses to be between 5 and 6 on the Kentucky Equine Research condition score. Extra weight can lead to excessive strain on ligaments, tendons and bones often resulting in lameness. 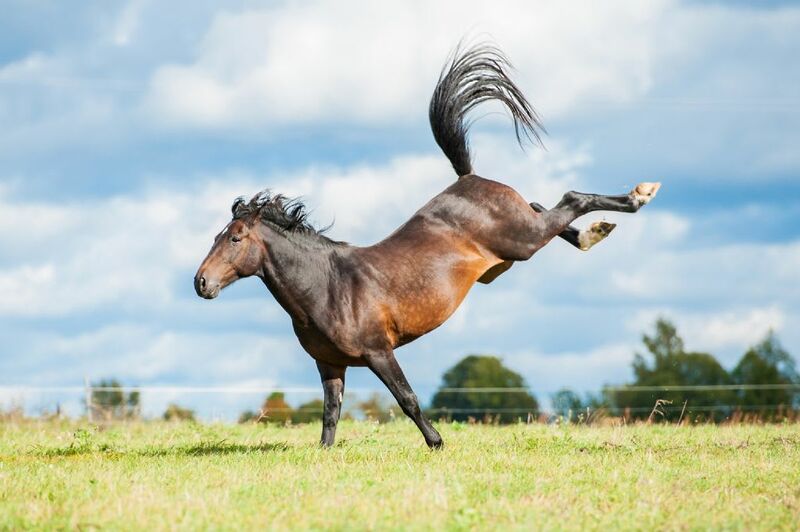 Endocrine problems such as metabolic syndrome are at a higher risk of developing in the older overweight horse. Bluegrass Horse Feeds Stamm 30 contains a high vitamin and mineral pack and unique yeast cultures to promote gastrointestinal health and increase the bioavailability of the nutrients without providing extra calories in the diet. However, some seniors struggle to maintain weight and often owners turn to conditioning feeds with higher calorie content to help gain weight and condition. Dental issues can be a main cause of some seniors struggling to increase their weight. From between 20 to 25 years old the molars may start to loosen and fall out in some horses, making it hard to each long-steamed forage and may need their feed soaked and a forage alternative to hay or haylage provided. For those that struggle to eat, grazing is the best option for them, they are often able to chew on grass and with them moving around the field intern helps with mobility. A supplemented fortified feed for seniors must be a high fibre, high vitamin and mineral source. Linseed, soybean and corn oil are commonly found in senior feeds to increase the calorie content and promote weight gain and condition. The addition of these oils also provides omega 3 and 6 shown to have beneficial effects on joint health and have anti-inflammatory aspects. As they grow older your horse’s immune system will become weaker, resulting in a higher risk to health conditions such high parasitic burdens, colic and endocrine problems. Nutrition plays a key role in some of these conditions, maintaining a healthy gastrointestinal tract decreases the risk of some of these issues occurring. Bluegrass Horse Feeds specialist range such as Bluegrass Re-Leve and Bluegrass Re-solve are both formulated to provide a fully balanced diet with a low glycemic index, ideal for horses suffering from metabolic syndromes or laminitis. When selecting the right senior feed for your horse, firstly consider any health issues they have and then consider their weight and condition. Senior feeds should contain a high fibre source and a higher vitamin and mineral fortification compared to a maintenance mix to account for age -related decline in digestibility.